Toasty Once you’ve tackled the insulation in your dwelling and achieved a decent level of heat retention, its worthwhile looking at ways to conduct heat from within. Firstly we need to dispel all traditional notions of gas and electric heaters. Vehicles, and other small dwellings need to be dealt with in a different manner to your grandmas front room, or the freezing conservatory you were forced into every Christmas to make room for the big family dinner. Traditional gas heaters are commonplace as a quick, efficient way to heat up a room. Despite being slightly dangerous there was a major flaw. Gas produces wet heat, which in turn produces condensation! In a vehicle condensation equals damp, and that is one thing you need to avoid. The other traditional method of heating is the electric fan. Feel free to use a fan but I guarantee you your battery wont last long, and you’ll break your heart trying to get the space to a nice temperature. The most common option for small areas are woodburners, and gas,diesel or petrol powered heaters. Each of these forms of heat have their benefits and downfalls, and it is worth examining each of them to ascertain which would be of most benefit to you and your space. Depending on size of your vehicle, and the amount of work you are willing to put into maintaining your heat will depend a lot on the choice you make. 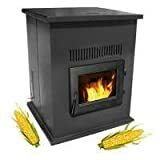 Firstly the woodburner has been used on boats, buses, trucks, and anywhere that heat is required without cost. Provided that they are installed properly and safely they will offer lots of heat. The size of your burner needs to be chosen carefully to ensure that you can control the amount of heat it emits. A flue needs to be fitted through the roof for smoke and fumes to escape, and a protective heat barrier around the sides and back of the unit. The downside to the woodburner is that in a small space the heat can be hard to control, mainly too much heat. It will take trial and error to work out how to keep the dwelling warm throughout the night if you choose a woodburner. Gas, diesel, and petrol powered heaters are both efficient and easy to use. Each heater works in the same manner, a fuel is burned within a cylinder which heats up air which is then passed into the dwelling expelling fumes and gasses outside through an exhaust. This simple method can provide heat at a constant level through the use of a built in thermostat. Some of these units can also be used with timers, much like central heating, time it or flick it on with a switch as you need. The downside to these heaters however can be that the fuel is expensive. Fitting the units is relatively simple if you are relatively competent with diy. Fuel powered heaters are recommended mostly for small vans and boats, however the bigger the dwelling the more expensive it will be to heat. If you need to heat a small area they are perfect in terms of costs and heat output. If you have a large van boat, or other dwelling, a woodburner is the best option. The size of your woodburner will define the heat output. Burning wood is also a much cheaper and environmentally friendly way to heat your dwelling.